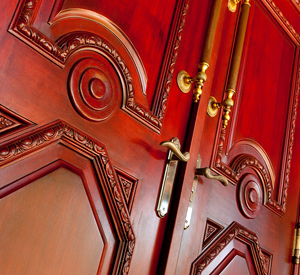 For nearly a decade, Borano has been producing handcrafted Mahogany doors, windows, flooring and molding. Our unique product lines are custom tailored to meet the needs of luxury builders, architects and designers, as well as astute homeowners. We provide our customers with the finest True Mahogany available, and we never use imitation Mahogany (African, Luan), or any other inferior species in our products. We also never use dowels, pegs, screws or nails for our joinery. Borano utilizes old world Mortise-and-Tenon construction to build our beautiful products, because we believe that quality craftsmanship starts with what you can’t see, and continues to what you can. 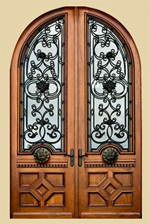 Borano is the manufacturer of handcrafted, furniture-quality, genuine Mahogany doors, windows, and flooring. We cater to luxury home builders and astute homeowners with discerning tastes for remarkable quality and precision craftsmanship. If you are looking for superior craftsmanship, durability, beauty and style, Borano can provide you with the one-of-a-kind products that will capture the attention of everyone for generations to come. Our solid mahogany products are made like fine mahogany furniture – one at a time – and built to endure in any climate. Working directly with homeowners and leading architects, builders and designers, our products have graced prestigious homes throughout the United States. We exist to provide the finest products, custom tailored to your needs and desires. Contact us today about how we can bring the beauty of Mahogany into your world.